BULGARIA / SOFIA / ZONA B-18 DIST. 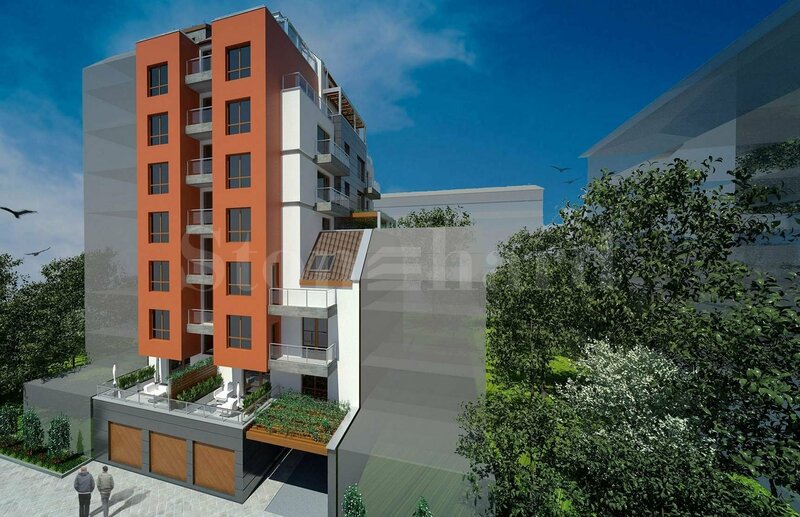 The presented new residential development boasts top location in Sofia, next to a metro station and 600 meters from Sofia Mall. The building is located in "Zone B8" neighborhood, 200 m from the bus stop, 600 m from the tram and trolley bus stops, and 200 m from the Konstantin Velichkov metro station. The location of the building is extremely communicative - there is a convenient public transport to the center and the districts of Sofia. The building features 9 floors and apartments with unique views to the town and the mountain. Some apartments are suitable for offices because of their proximity to the metro. The apartments are spacious with large terraces. On the 8th and 9th floor there are 2 apartments, the remaining floors are with three or four units per floor. 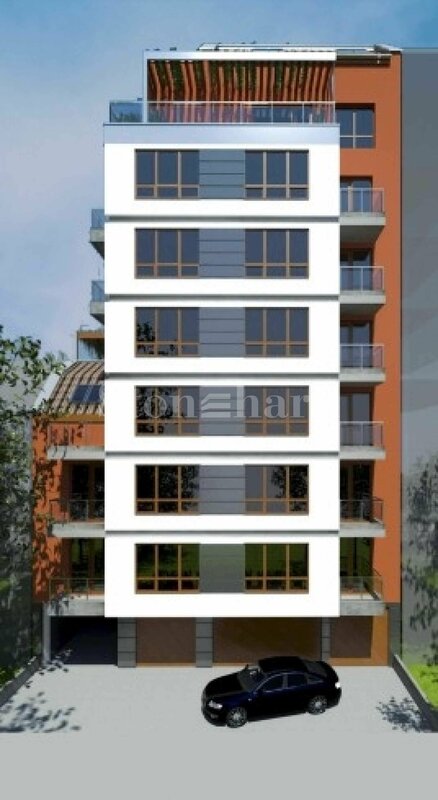 The apartments are offered for sale, finished according to Bulgaria completion standard (plastered and putty) with gas or electricity heating, 5-chamber windows, armored outside doors, 10 cm insulation, with installation for air conditioners. There is video surveillance and an outside door with a chip in the building. There is an option to purchase an underground parking space at a price of 12,500 euros. There are also garages on the ground level at a price of 16,000 euros, as well as parking spaces in the yard at a price of 8,000 euros.